Shaving brush which we use nowadays were only invented in the 18th century by the French. Before that, men used sea sponges to lather up soap onto their faces. 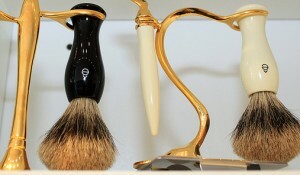 However, since the shaving brushes were introduced, numerous types of bristles were used to create these brushes. These bristles were made up of both natural and synthetic materials. 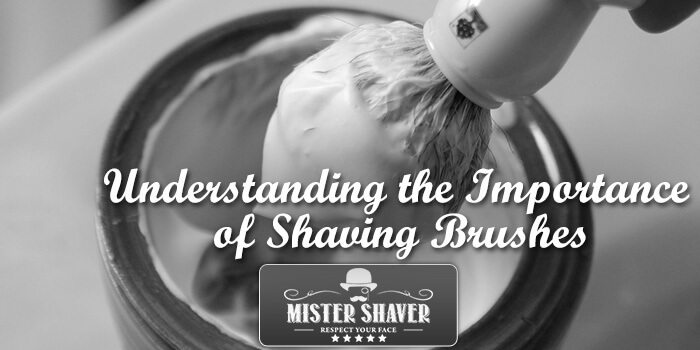 In this article, we will learn why shaving brushes play an important role in getting the perfect, smooth shaves. What Are Shaving Brushes Needed? 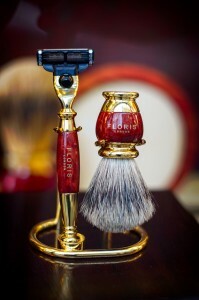 There are four main purposes of using a shaving brush. First of all, they generate a rich and warm lather. Secondly, it softens the facial hair and lifts it off the face. Thirdly, it helps in bringing the right amount of warm water in order to lubricate the skin and open the pores. Last, but not least, it nourishes the skin and gets rid of any dead cells that may be present. The great numbers of bristles help in generating a rich lather. This lather is extremely important for a person to be able to shave properly. A proper lather allows the blade to glide smoothly without causing any razor burns or cuts or nicks. It also helps by opening up the pores and removing dead skin cells, something that fingers won’t be able to do. What Types of Shaving Brushes Are There? The brushes that are made from badger hair have been used for a long time. Badger hair itself can be of four different grades: pure, best, super and silver tip. Brushes made of pure badger hair are the cheapest of all four. They have a brownish to a black shade and are quite flexible; however, they are coarser than other higher grades of badger hair. Best badger hair brushes are light brown to gray in color. They have far better capabilities of absorbing water than the previous type. Super badger hair is quite soft to touch and their capabilities of absorbing and holding water are simply great. However, if you want premium quality, you should go for brushes made of silvertip badger hair. These are the most expensive but also the most luxurious. It massages the skin like a soft sponge – regardless of their price; they usually last for more than ten years. ver have the softness found in a badger hair brush. These brushes are quite fine and tend to secure a place between badger hair brushes and boar hair brushes. They can be acquired in lots of colors. Synthetic brushes range in quality from cheap, thick nylon bristles that are quite tough on the skin, to those made of high-quality synthetic materials that have a quality equal to the best badger hair. You can now choose the right brush depending on how much you can afford to spend on a shaving brush, as well as the type of skin you have. For sensitive skin, it is recommended that you go for softer brushes to ensure maximum comfort.